UPDATE 2013: It is with great sadness that I have to report that this museum is now gone! It was forced out of its previous premises (when these required refurbishment) and could not afford to relocate, at least so I was informed by its former neighbour, the Spice Museum. This is a truly great loss. What a pity. Below you can still read the – now slightly adapted – old entry for this museum, which I had originally written shortly after my last visit there in October 2009. The museum closed sometime in 2012, and this update was written in the summer of 2013. The whole entry is now subsumed under the category of lost places. What was it? 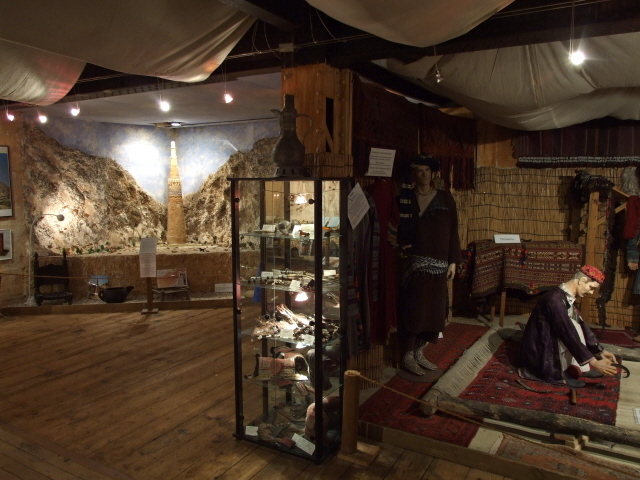 A small and utterly endearing museum about Afghanistan, located in Hamburg in a row of old rug and spice warehouses. It may not have been particularly dark, but had its darkish aspects, albeit indirectly, and absolutely deserved being worked into an itinerary for visitors to Hamburg in any case. It is a great pity that it had to close down! More background info: Travelling to Afghanistan is still pretty much out of the question for tourists (unless you're into danger tourism), and it remains to be seen when, if ever, the country will settle down and reopen for tourism. Meanwhile, this little gem of a museum used to fill a little bit of the gap and portrayed Afghanistan during happier times. Founded in 1998, the museum was the product of a private endeavour by an Afghan living and working as a businessman in Hamburg (and designed with the help of others from elsewhere in Germany). Not only did it provide information about Afghanistan, it also tried to preserve the feeling of home for exiled Afghans. It was entirely privately run, without any subsidies, so the moderate admission fee that it charged was totally justified. Unfortunately, the funds available to the museum were apparently not sufficient when it had to vacate the building (allegedly scheduled to undergo refurbishment). So instead of relocating and setting up the exhibition once again, the owner/curator had to give it up altogether. 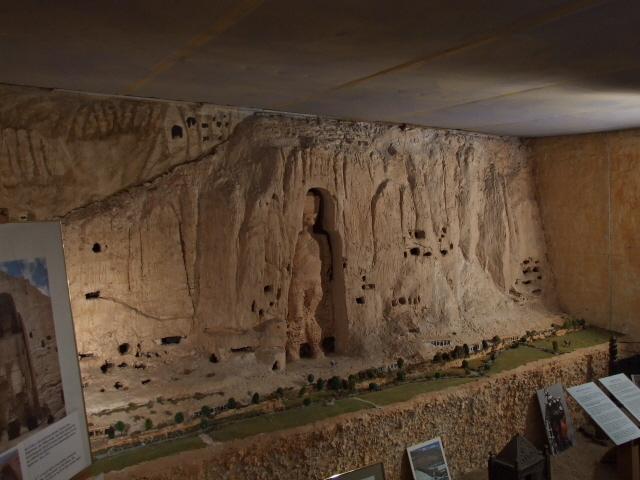 What there was to see: Mostly life-size displays of rural folksy scenes with dummies in traditional attire "going about" everyday business (such as baking bread or making rugs), as well as various artefacts and a few dioramas of famous sights – including one of the world-famous giant standing Buddhas of Bamiyam, hewn out of the rock. Of course, the originals of these unique items of cultural heritage were blown up in iconoclastic frenzy by the fundamentalist Taliban in 2001, shortly before their country was again invaded by foreign powers ... this time by the USA – who didn't come to avenge the destruction of the Buddha statues, however, but that of the Twin Towers in New York on 9/11. Here at this museum, you could at least still see one of these Buddhas in miniature (as well as in photos – before and after ..). In fact, the only reason for the museum being justifiably mentioned in the context of dark tourism is the very fact that its exhibition so vividly contrasts with the common image of Afghanistan today, in which bearded fundamentalist terrorists try to bomb the country back to the Middle Ages, while hapless "Peace Forces" drive across the dusty land in heavy armoured vehicles. This image was particularly starkly contrasted when you looked at the old photos and postcards and browsed through the old books about Afghanistan on display in the museum – all material from the pre-Taliban and in fact pre-war years. Especially the images from the 1970s, when Afghanistan had a burgeoning tourism industry, swimming pools, cinemas, universities, modern buildings and content-looking people (many of the men beardless) painfully underscore how much the country has lost since. Afghanistan was generally on the brink of modernization and equal rights (under a socialist government) when things went pear-shaped in 1978/79 … with the opposition's religious fundamentalists covertly being supported by the USA, which ultimately prompted the invasion of the country by the then USSR, and … well, the story will probably be painfully all too familiar. In this little museum in Hamburg a bit of the "nice" Afghanistan was being preserved. The atmosphere was really sweet, and not overtly dark at all – but of course the knowledge of the current Afghanistan, ravaged by 30 years of war, is the dark undertow that also makes the museum a destination for the dark tourist all the same. It was a really moving place! Female visitors (in theory male ones too, provided they're not too well built) were even invited to try on one of the two burkas provided in one corner of the museum – to get an impression of the severely limited field of vision you have through the grille of the view hole of this body-bag-like type of garment that covers everything, i.e. makes women "disappear" from public view in such a fundamentalist society. 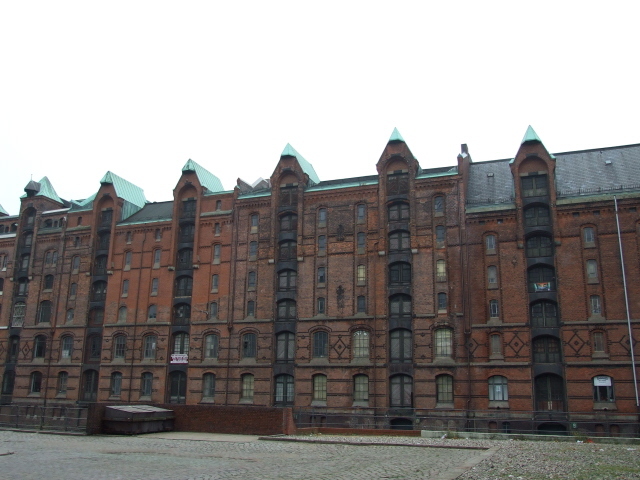 Former location: in the "Speicherstadt" part of Hamburg's harbour, immediately south of the old city centre; at Sandtorkai 32/1 – on the first floor, then underneath the Spice Museum on the second floor, which has since moved into another building just up the road. Combinations with non-dark destinations: in general see Hamburg – the whole area that the Afghanistan Museum was located in is one of the prime tourist attractions in Hamburg, the "Speicherstadt" (literally 'city of warehouses'), and it is indeed a stunning architectural ensemble of finely decorated red-brick structures used to store coffee, tea, spices and rugs (including Afghan ones? you may wonder). Some of the warehouses have meanwhile found other uses (design offices, yuppie flats), but the area still retains some of its original atmosphere – although that may gradually change when the eastward expansion of the "HafenCity" and other redevelopment projects are finished. 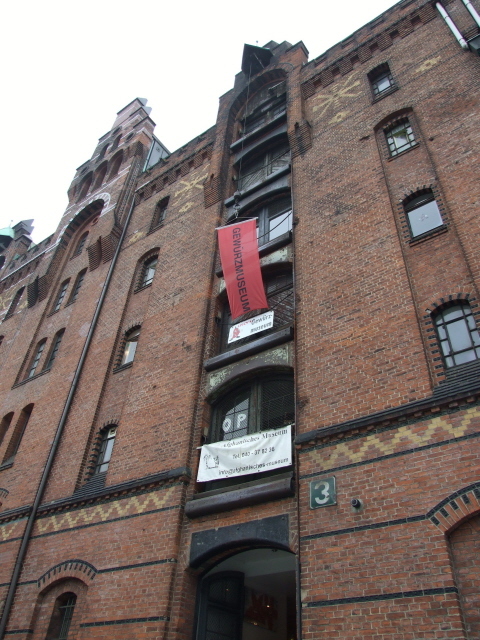 Other museums within the Speicherstadt include the intriguing Spice Museum (formerly upstairs in the same building. now moved just up the street), the relatively new "Speicherstadt-Museum" (about the history and workings of the area – including, again, the spice trade) the huge new Maritime Museum (basically model ships galore) and the quirky "Zollmuseum" ('Customs Museum', where illegally transported items confiscated at border checks are displayed!). What is it? 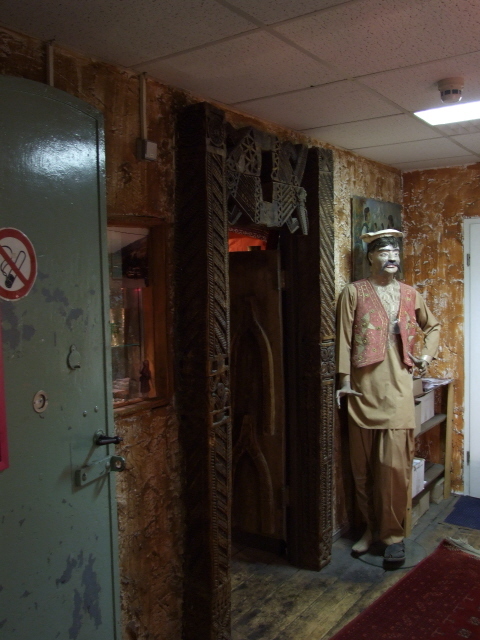 A small and utterly endearing museum about Afghanistan, located in Hamburg in a row of old rug and spice warehouses. It may not be particularly dark, but has its darkish aspects, albeit indirectly, and absolutely deserves being worked into an itinerary for visitors in Hamburg in any case. More background info: Travelling to Afghanistan is still pretty much out of the question for tourists (unless you're into danger tourism), and it remains to be seen when, if ever, it will settle down and re-open for tourism. 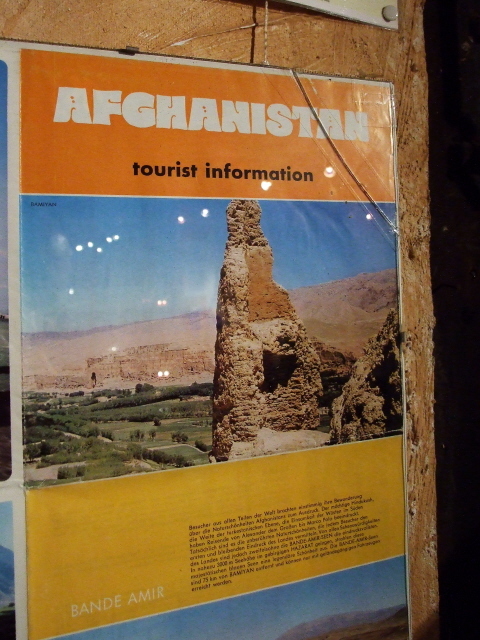 Meanwhile, this little gem of a museum fills a little bit of the gap and portrays Afghanistan during happier times. 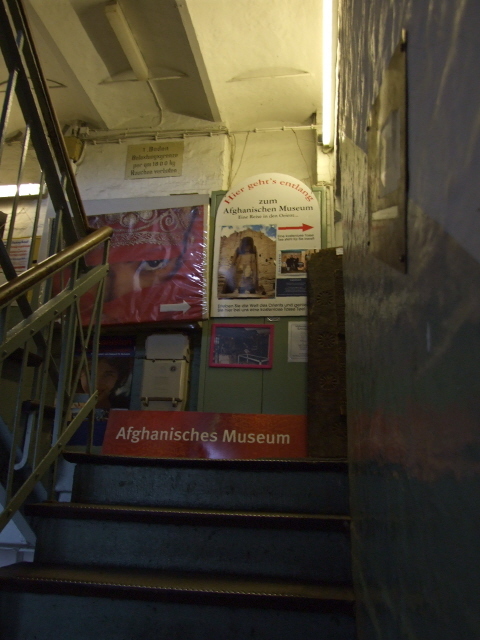 Founded in 1998, the museum is the product of a private endeavour by an Afghani living and working as a businessman in Hamburg (and designed with the help of others from elsewhere in Germany) It aims not just at informing interested non-Afghans but also at preserving a piece of home for exiled Afghanis themselves. It's entirely privately run, without any subsidies, so the moderate admission fee is totally justified, even if you may find that the museum is a bit small. What there is to see: Mostly life-size displays of rural folksy scenes with dummies in traditional attire "going about" everyday business (such as baking bread or making rugs), as well as various artefacts and a few dioramas of famous sights – including one of the world-famous giant standing Buddhas of Bamiyam, hewn out of the rock. 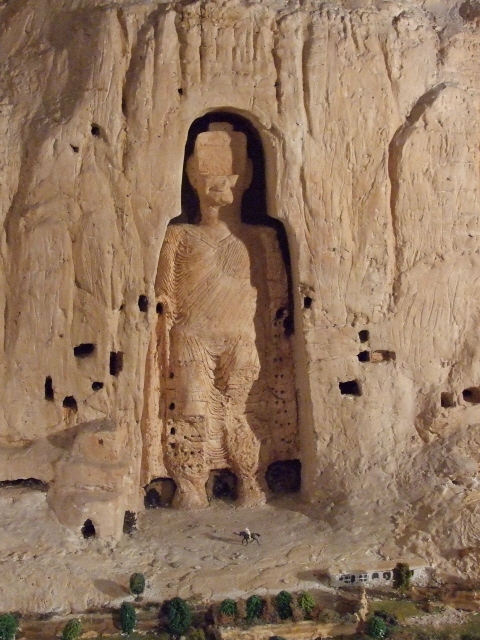 Of course, the originals of these unique items of cultural heritage were blown up in iconoclastic frenzy by the fundamentalist Taliban in 2001, shortly before their country was again invaded by foreign powers (this time by the USA – who didn't come to avenge the destruction of the Buddha statues, however, but that of the Twin Towers in New York on 9/11). Here, you can at least still see one of these Buddhas in miniature (and in photos – before and after ..). In fact, the only reason for the museum being justifiably mentioned in the context of dark tourism is the very fact that its exhibition so vividly contrasts with the common image of Afghanistan today, in which bearded fundamentalist terrorists try to bomb the country back to the Middle Ages, while hapless "Peace Forces" drive across the dusty land in heavy armoured vehicles. This image is particularly starkly contrasted when you look at the old photos and browse old books about Afghanistan at the museum. There are even postcards. All from the pre-Taliban and in fact pre-war years. Esp. the images from the 1970s, when Afghanistan had a burgeoning tourism industry, swimming pools, cinemas, universities, modern buildings and content-looking people (many of the men beardless) painfully underscore how much the country has lost since. It was generally on the brink of modernization and equal rights (under a socialist government) as things turned pear-shaped in 1978/79 … with the opposition's religious fundamentalists covertly being supported by the USA, which ultimately prompted the invasion of the country by the then USSR, and … well, the story will probably be familiar only too bitterly. 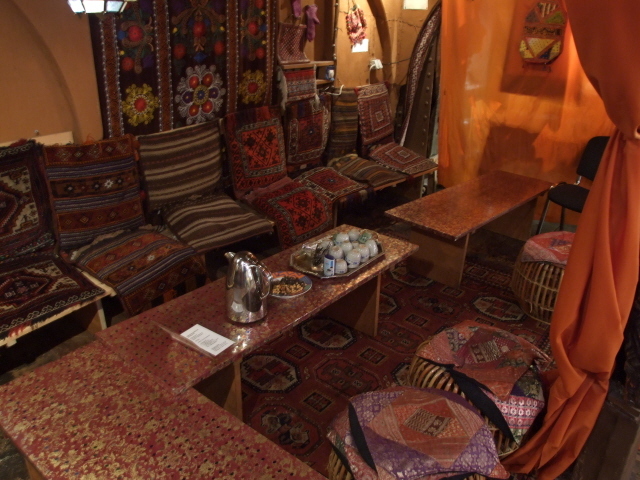 In this little museum in Hamburg a bit of "nice" Afghanistan is being preserved. The atmosphere is really sweet, and not overtly dark at all – but of course the knowledge of the current Afghanistan, torn by 30 years of war, is the dark undertow that also makes it a destination for the dark tourist all the same. It is a really moving places. Highly recommended! Female visitors (in theory male ones too, provided they're not too strongly built) are even invited to try on one of the two burkas provided in one corner of the museum – to get an impression esp. of the severely limited field of vision you get through the grille of the view hole of this body-bag-like type of garment that covers everything (i.e. makes women "disappear" from public view in such a fundamentalist society). 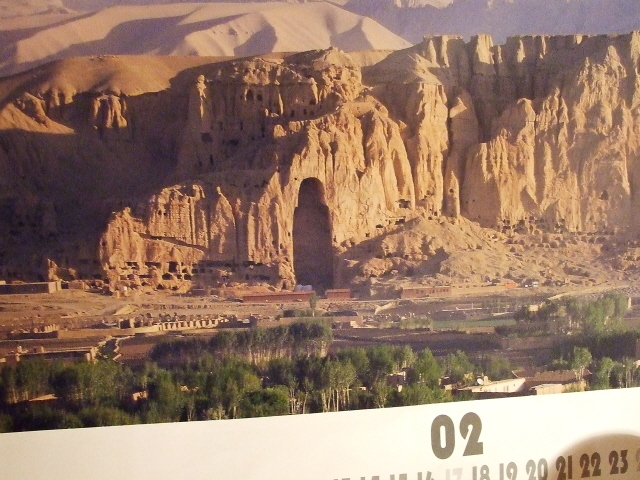 You can even buy Afghanistan postcards here and, with a bit of additional cynicism, send them to friends & and family from a safer haven than the place they depict is or will be for the foreseeable future. The museum shop also has (or at least used to have when I last visited in October 2009) a book on sale with lots of pictures of "Afghanistan before its Destruction" (title). Access and costs: fairly easily accessible and reasonably priced – details: The museum is to be found in Hamburg's famed "Speicherstadt" ('warehouse city') – where smaller harbour tour boats ("Hafenrundfahrten") often pass, but don't stop. To get to the museum you can walk into the Speicherstadt across a choice of bridges. The closest to the main train station and the Steinstraße metro station (U1) is Oberbaumbrücke at the eastern end of the Speicherstadt. The Niederbaumbrücke at the western end is closest to the Baumwall metro stop (U3) and the Landungsbrücken harbour front tourist draw. More bridges cross the canal in between. The Afghanistan Museum is roughly in the middle of the street Am Sandtorkai, which is the one between the old part and the (pretentious but mostly boring) new housing developments it now faces instead of the harbour (which is currently one of the world's largest redevelopment areas). Opening hours of the museum: daily from 10 a.m. to 5 p.m.
Time required: about half an hour (unguided) – possibly more for browsing through old books and sipping tea. Combinations with other dark destinations: in general see Hamburg – the Afghanistan Museum can best be slotted in when going to (or coming from) the U-434 Russian spy submarine (which is moored further east) and/or the Nikolaikirche memorial (just north of the Speicherstadt). Combinations with other non-dark destinations: in general see Hamburg – the whole area that the Afghanistan Museum is located in is one of the prime tourist attractions in Hamburg, the "Speicherstadt" (literally 'city of warehouses'), and it is indeed a stunning architectural ensemble of finely decorated red-brick structures used to store coffee, tea, spices and rugs (including Afghan ones? you may wonder). Some of the warehouses have meanwhile found other uses (design offices, yuppie flats), but the area still retains some of its original atmosphere – although that may gradually change when the eastward expansion of the "Hafen-City" and other redevelopment projects are finished. Other museums within the Speicherstadt include the intriguing Spice Museum (upstairs in the same building), the relatively new "Speicherstadt-Museum" (about the history and workings of the area – including, again, the spice trade) the huge new Maritime Museum (basically model ships galore) and the quirky "Zollmuseum" ('Customs Museum', where illegally transported items confiscated at border checks are displayed! ).